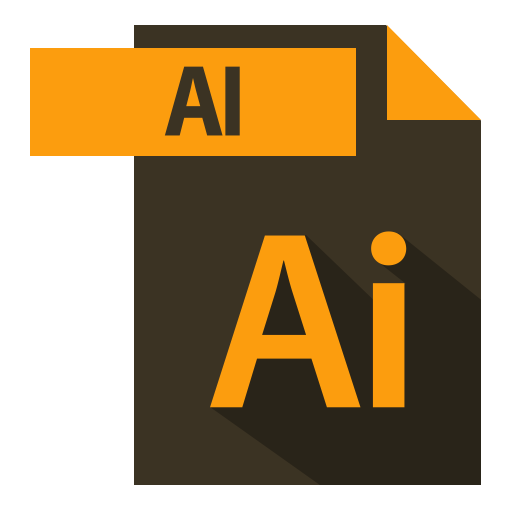 Ai file extension is associated with Adobe Illustrator, popular vector graphic editing program, by Adobe Systems Inc. Ai file is representing single-page vector-based drawings in EPS or PDF format. Early versions of Ai files are true EPS files, with restricted and complex syntax. Ai file format originated from a native format called PGF - Progressive Graphic Format, showing a close resemblance to PDF. Compatibility with PDF format was achieved when entire copy of PGF data was embedded in PDF file. This dual path approach is used in latest versions of Adobe illustrator, when EPS compatible files are created and saved. Why and where Ai is used? Since Ai images are in vector format, they can be enlarged without losing quality of image. Ai file format instead of using bitmap image data, is composed of paths, connected by points. Some programs can open Ai files but may rasterize the image, which meaning that vector data will be converted to a bitmap format. While this may make file size smaller and more acceptable by multiple applications, some of the file quality may be lost during process. Ai file format is mainly used for logos and print media. How to open Ai file?